Uppercussion have released Bitkits, a free drum samples pack, celebrating the crunchy sound of 8-Bit. The kits give you 8-bit versions of kick, snare and hihat sounds, as well as a large collection of beeps, buzzes, noises, arpeggiations and other sound effects typical of the 8-bit era. The samples where made using BitRate, a digital drum machine for Reaktor by Icebreaker Audio. 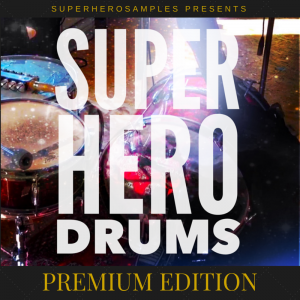 Bitkits contains 160 samples in 24 bit, 44,1 kHz quality, that are organized in 8 drum kits. Mappings for various sampler-formats are included (Maschine, Live 9, Battery, Geist, Kontakt, EXS24, Halion, NN-XT and single wav samples). You can download Bitkits for free on the Uppercussion site. can i use this for a song? Usually each sample library (also the free ones) comes with a license agreement, which specifies in which way you can use the samples. So read the license agreement after downloading a sample library and you’ll be on the safe side.